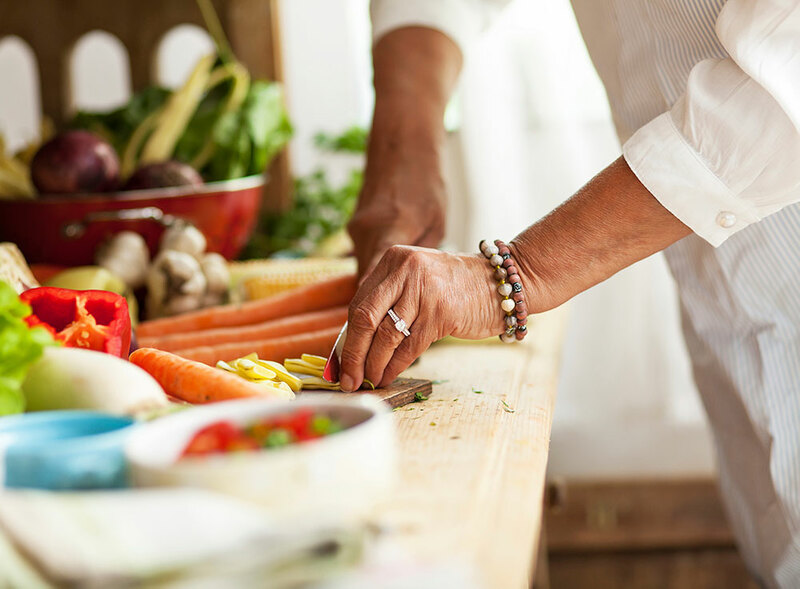 At Tuscan Gardens, we put great emphasis on food – the aromas, textures, and flavors – and create Signature Senior Dining experiences worthy of our residents. A delicious meal can evoke memories and create comfort. At Tuscan Gardens®, homemade food is an essential part of every day. The air is filled with the familiar aromas of home-baked bread, freshly brewed coffee and Nonna’s sauce simmering on the stove. Our authentic Tuscan Kitchen is the heart of our home — the perfect setting for our Anytime Signature Dining experience. Using only the freshest and finest ingredients, including many vegetables, fruits and herbs grown in our own gardens, our Tuscan Chef artfully prepares meals that are delicious and satisfying. For many, the kitchen was the most important room in the house. It was where they cooked, nurtured children, dined as a family, entertained and visited with friends and family. Watch in delight as our own chef prepares meals from scratch. Enjoy family-style meals together, sharing stories and conversation at the table. Exchange treasured recipes to be cooked by the chef and enjoyed by all. Participate in cooking classes and demonstrations. Wholesome. Fresh. From our gardens to table. Meals that nourish body and soul.